Free shipping worldwide, taxes included. 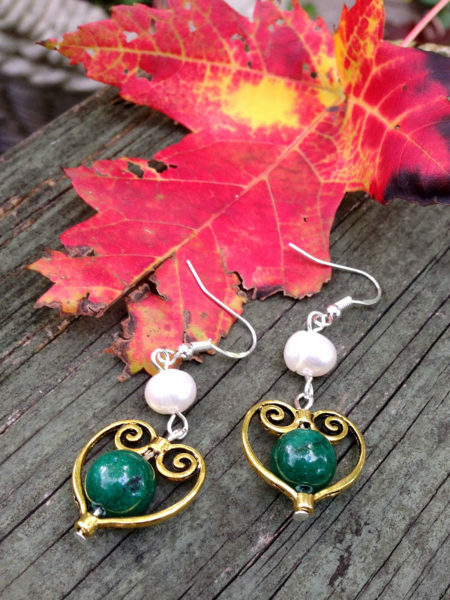 This pair of earrings will most certainly bring you good luck. 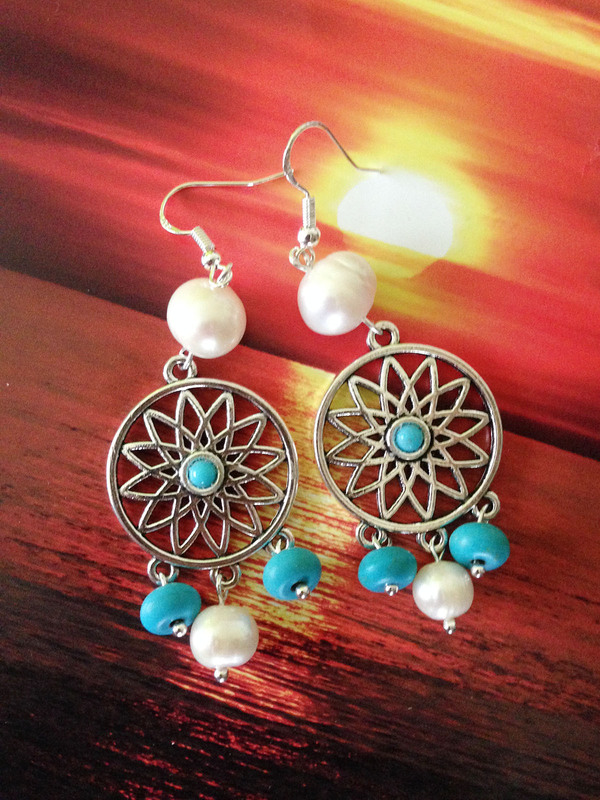 This particular design was inspired by the Native Americans’ traditional object of the same name. 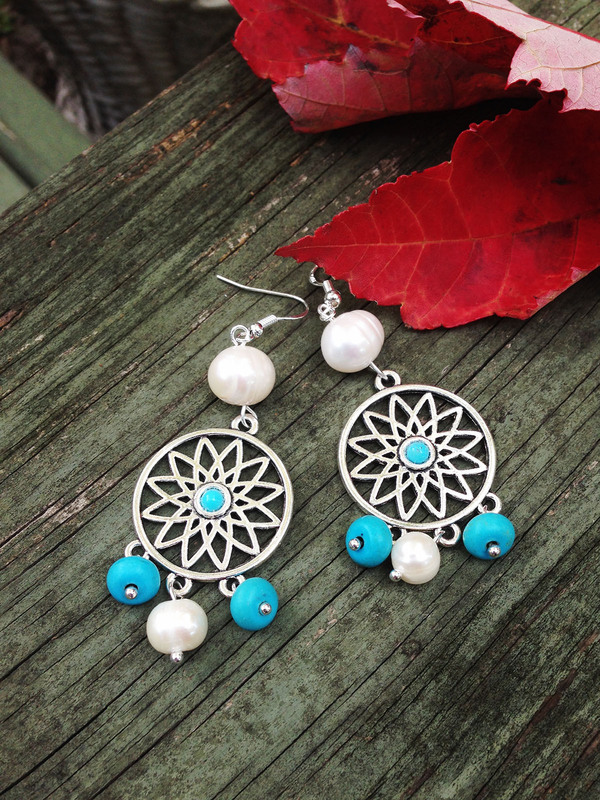 According to legends, the Dreamcatcher is supposed to protect people from bad dreams. 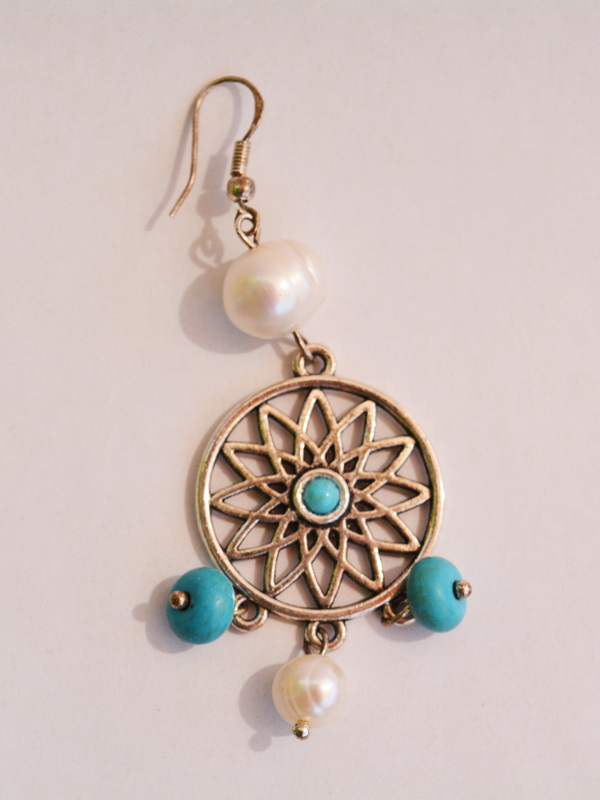 Dreamcatcher earrings thus allow you to be protected even during the day, in case you doze off at work or something. 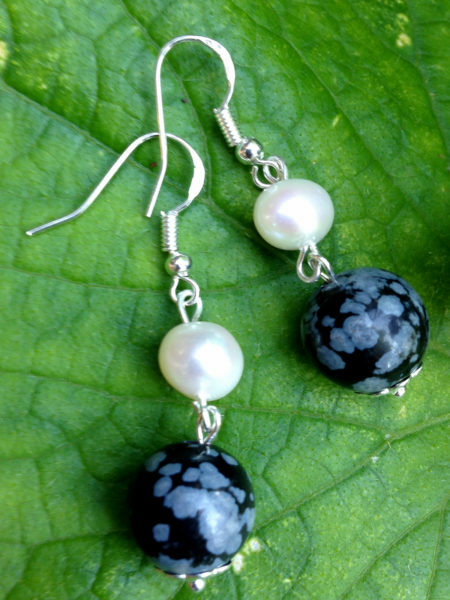 I used turquoise stones, irregular white pearls (and Sterling Silver hooks, of course!!!) 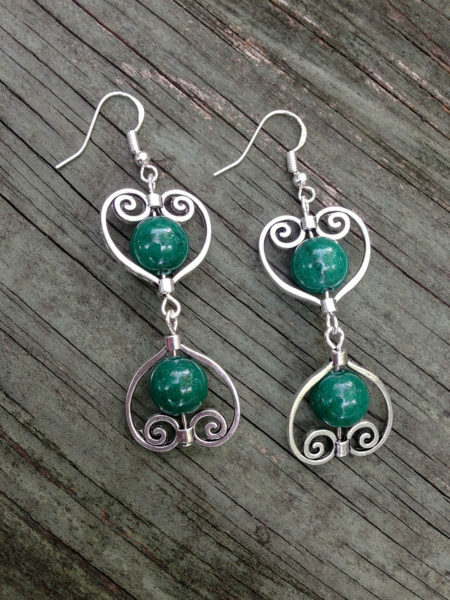 in order to give these earrings even more mystical properties.